KVR Price: $119.00; Save $180.00! 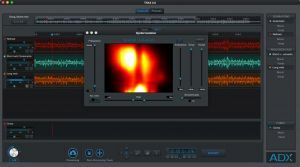 ADX Trax 3 boasts faster separation processing speeds, new STEMS file format export, a Consonants Annotation tool, and zoom-to-fit option. The consonants tools has been created to improve consonants extraction. Consonant annotations are optional, but help identify and extract sounds such as "ch" or "s", which are often missed when annotating the pitch only. 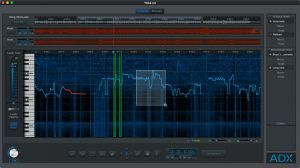 ADX Trax was the world's first non-destructive, automated melodic audio source separation software. Using audio analysis and separation techniques, TRAX will automatically create two separated tracks from a mono or stereo file: a vocal track and a music track. Export files in STEMS format. 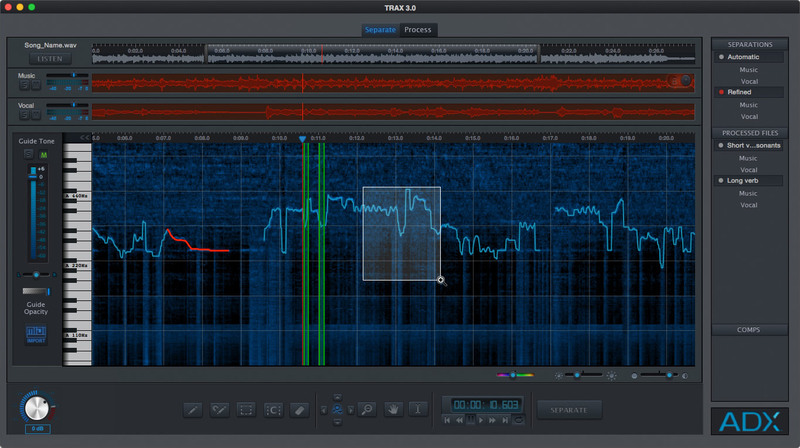 Import MIDI as a Pitch Guide. Intuitive, User Friendly Graphical User Interface. Multiple Bit Depth and Sample Rate Compatibility. Secure, Powerful, Cutting-Edge & Lightning Fast Cloud Computing.